Steve House espouses the benefits of separating skill and strength training. Identify your weaknesses, then zero in on them in dedicated training sessions rather than mixing strength and skills. Choose moderate and technical problems, eschewing the steep, juggy walls. All photos by Christian Riepler. All of us want to become better climbers. Some of us say we’ll go to the gym and climb X times a week for X months. However, climbing randomly will not usually yield the best results. If progress is your goal, you must be intentional about how you train. A common mistake is to mix skill and strength training into the same workout. 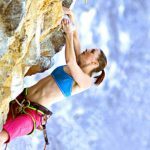 Here, I’ll discuss how to work on specific skills—you can become a better climber without necessarily getting stronger. The first step is to figure out what’s holding you back. A weakness in skills may be your footwork, dynamic movement, core strength/tension, or specific movements such as toehooking. Assess your weaknesses, and then consistently and progressively measure, monitor and challenge yourself in them. One way is to chart your progress on a boulder problem that gives you fits; if you are technique-limited, mentally note—or have a friend make a video of your attempts—how it feels to attempt the difficult technique. 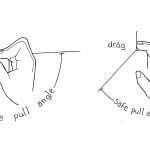 Then aim for small, incremental improvements, such as finding the right position for that toe-heel cam that allows you to reach the next hold. Incremental improvement will occur in fits and starts, and can be frustrating, but remember this is what real progress looks like, slow and at times erratic! Have faith that you’re improving every time you try. Use input as assessed by yourself and partners with or without video analysis. 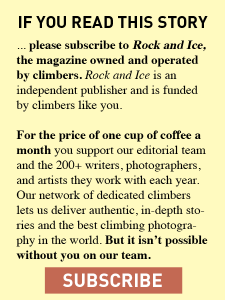 Let’s consider the following example: a 5.9 rock climber who has never trained but has been climbing two years really wants to ramp it up to be able to lead 5.11. It’s early spring, and the climber is looking ahead to summer and thinking about making gains. What do you do? The good news is that the climber probably just needs to get in mileage on the rock or in the gym. The type of climbing, though, is important. If you go to the bouldering gym and do lots of overhanging problems on jugs, that won’t do much to improve technique for the vertical routes in the dihedrals of Smith Rock. Be specific about the type of climbing you are training for. 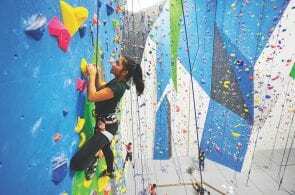 At the gym or crag, choose your routes according to: a) what your goal route is or what area you will be climbing in, and b) what your weaknesses are. The goal is not just to send the next number grade. The goal is to train specific skills. Don’t simply find a 5.11 with a quick crux: Find a route that requires more technique, so you’re actually learning about the movement you want to improve. 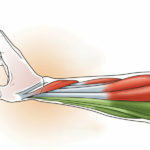 In neuro-muscular terms, it typically takes someone two practice sessions per week, over a period of four to six weeks, to learn the basics of a complex type of movement. Bouldering is a powerful tool for learning and refining climbing movements, and though I can’t say I love it—I would just rather do a route—I can’t recommend it enough, whatever your climbing level. Just be careful not to try problems you can’t do because of a physical limitation: If you’re trying to go from 5.9 to 5.11, avoid problems where strength or power is the limiting factor. While you need to train those qualities, keep in mind that this isn’t your strength training session. Find a nice vertical to near vertical V2 with balancey moves, tough footwork and a complex sequence related to what you’re trying to improve. Do a series of five to 10 V1s and V2s that challenge your route-reading. Go to a gym you’ve never visited. Practicing your onsighting is like a musician sight reading: The only way to improve is to practice—and you are sure to hit a few wrong notes in the process. If the moves feel awkward, that’s a good sign. 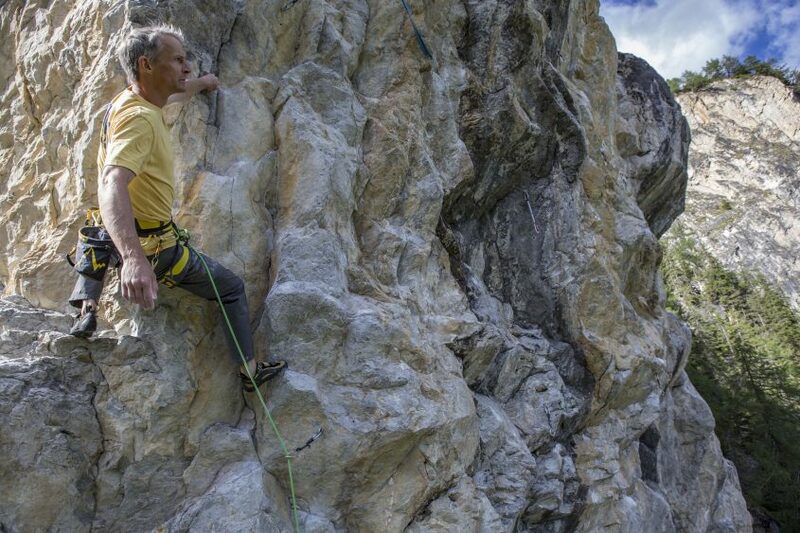 Another thing you can do is … don’t laugh … watch climbing films. Repeatedly. Don’t underestimate the power of visualization. This is something athletes in other sports do regularly, and it really helps. 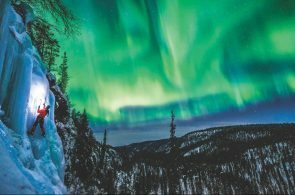 Watch films over and over with friends of similar abilities, dissect and discuss the movements you see, and talk about where and when climbers put their centers of mass and use dynamic or static movements. By vocalizing the reasons a climber might flag a leg, turn a shoulder, or hook a heel, you’ll conceptualize the movements better, and that translates to your own movements on the rock. How should you divide your time between skills training and strength training? Most people would be well served to do two days a week of strength training, and then two or three days a week working on technique. That sounds like a tall order, but the good news is, as far as the technique training goes, we can just call that climbing! 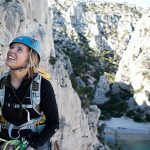 It can be indoor or outdoor, at home or on a climbing trip; it doesn’t matter. What matters is to be intentional about your training. On skill-development days, avoid routes that elicit a lot of muscular fatigue. Aim for routes that are technique rather than muscularly challenging. Plan skills training around two strengthtraining sessions per week. I like to put my skills days right before my strength-training days. The skills days are not entirely without muscular effort, and so it’s nice to do them fresh. For example: Saturday skills, Sunday strength; Wednesday skills, Thursday strength. This follows the popular two-on/ two-off dictum, but separates skill/strength days. If I wanted to have three skills sessions per week, I’d add a skills day to Tuesday in this example and keep my rest days as Monday and Friday. 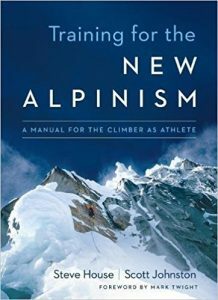 For more of Steve House’s insights into training, check out his book Training for the New Alpinism. The amount of rest you need between skill-training sessions depends on how fit you are, your age and what you can do for skills training. 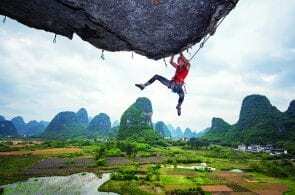 Advanced climbers climbing hard enough to create heavy loads on joints and connective tissues will need more time between sessions, 48 to 72 hours. Climbers starting out will be able to space skills more tightly: 24 to 48 hours might be sufficient. 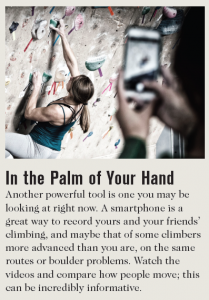 So, that psyched 5.9 climber looking ahead to 5.11 glory? Grab your shoes and get to work! 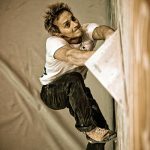 Steve House (UphillAthlete.com) is an alpine, trad and sport climber, climbing coach and coauthor of Training for the New Alpinism.